While my field site is a rural village, I employ theoretical frameworks found in urban studies, namely cosmopolitanism. In an article currently under review, I argue that cosmopolitanism is both a tactic and a strategy that residents use to perform tourism. 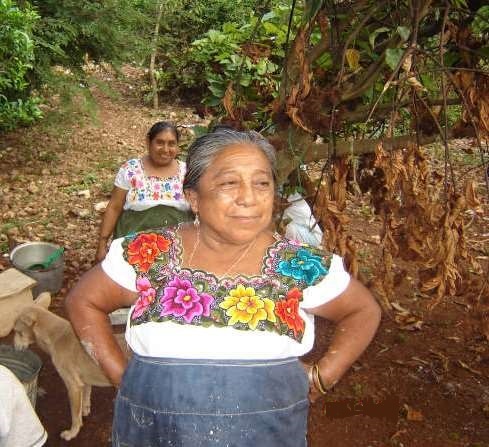 Knowledge of what tourists, volunteers, and funding agencies expect to see in a Maya village is leveraged into identity as an essential strategy, while the ability to move fluidly between the dichotomous extremes of traditional and modern is a crucial tactic required for successful negotiation with funders, NGOs, and other non-local social actors. These questions are explored in the broader context of tourism as a social and economic force in the community in my manuscript On Being Maya and Getting By, which was recently submitted to the University Press of Colorado. Most scholars stand on one side or the other when it comes to the costs and benefits of tourism. ON BEING MAYA AND GETTING BY moves beyond this by delving into a discussion of how a local, indigenous population must negotiate and manage this force regardless of our assertions about its pros and cons. Tourism has arrived: ON BEING MAYA AND GETTING BY is one destination’s story of what happened next. What this book provides that has been missing from the literature is a detailed case study of a community-based development project from its inception and from the multiple perspectives of participants, dissidents, and those who maintain an indifferent attitude to the development of tourism in this community. This is a rare gem in the literature on tourism development. Copyright (c) 2011 sarahruthtaylor.com. All Rights Reserved.